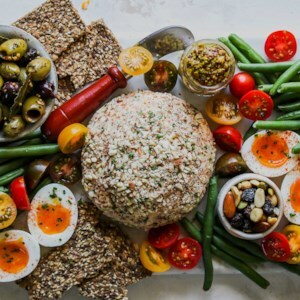 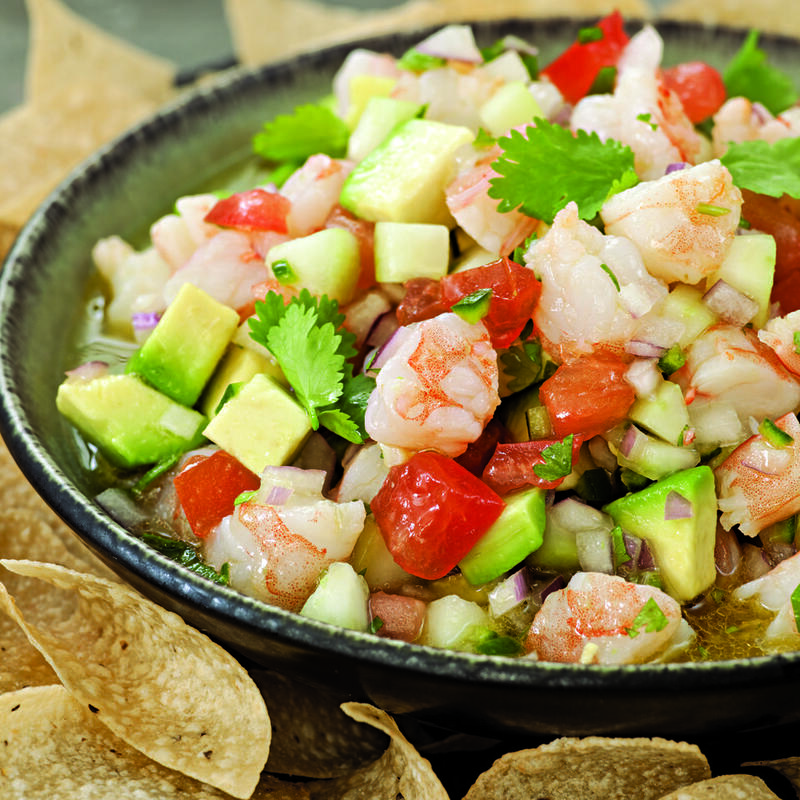 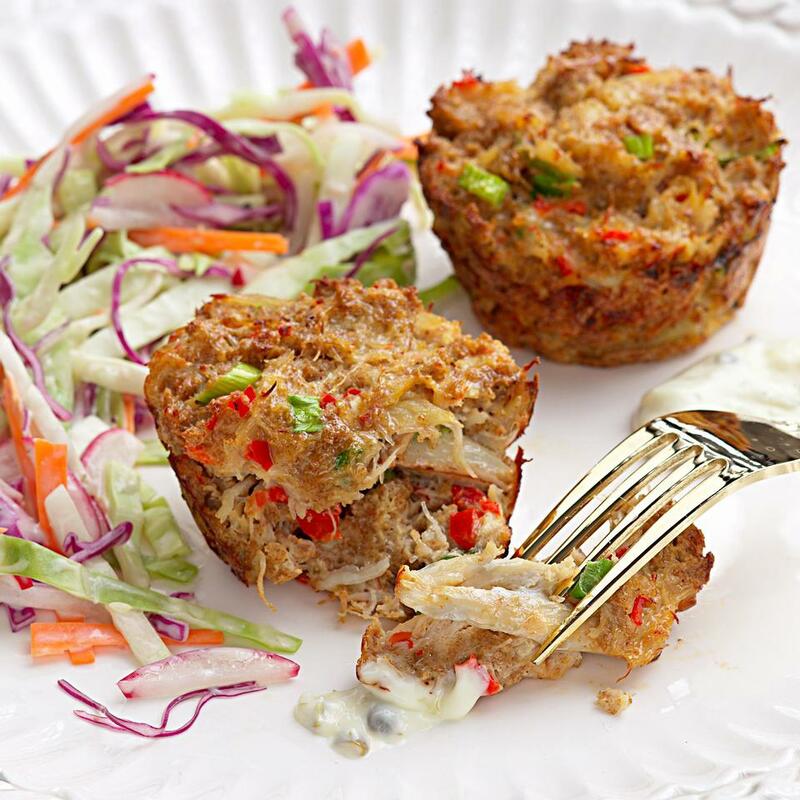 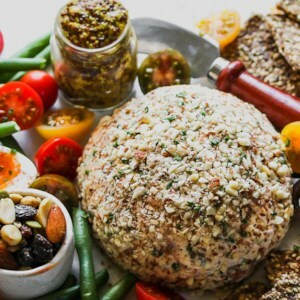 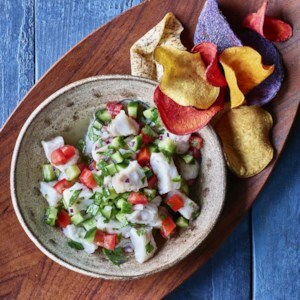 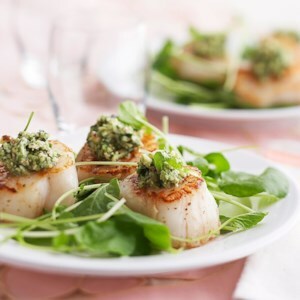 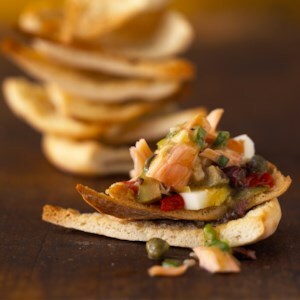 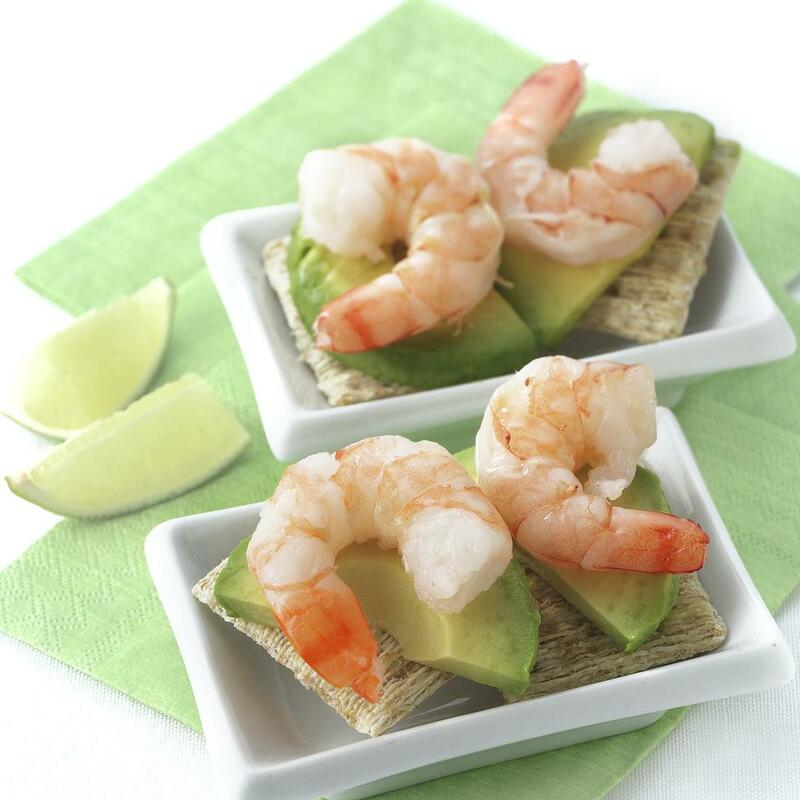 Find healthy, delicious seafood appetizer recipes, from the food and nutrition experts at EatingWell. 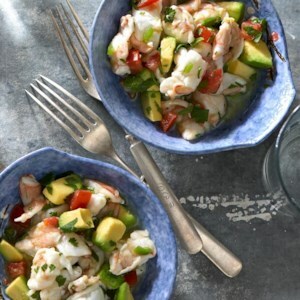 Peeled shrimp may be convenient, but here the shells--and heads if you are lucky enough to find them still on--are transformed into a quick stock that adds a boost of flavor. 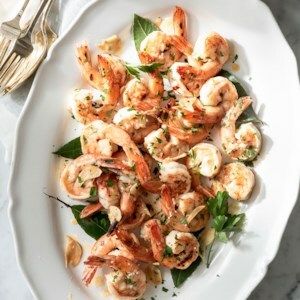 Serve the garlic-sautéed shrimp as an appetizer or use them as a topping for pasta or risotto. 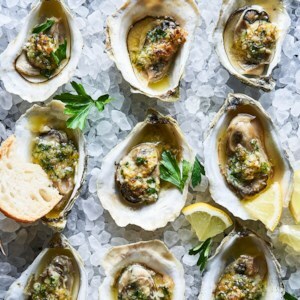 Topped with a buttered-up blend of toasted almonds, savory anchovy and fresh herbs, this broiled oyster recipe is rich, intense and downright delicious. 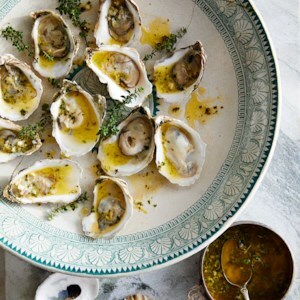 Serve the oysters as a first course with a dry amontillado sherry and crusty bread. 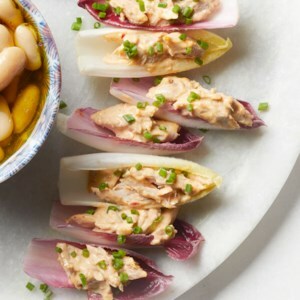 Harissa, the flavorful chili paste from Tunisia, gives this mackerel salad a spicy punch. 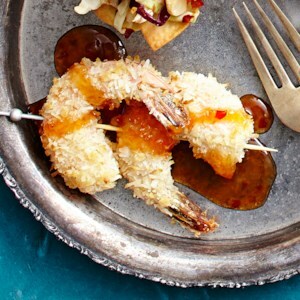 If you need an alternative, try another chili paste, such as gochujang, sambal oelek or chile-garlic paste. 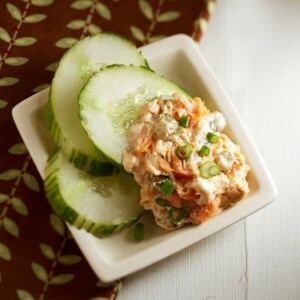 Smoked salmon, smoked paprika, and broiled sweet peppers give this appetizer dip an intense, deep flavor. 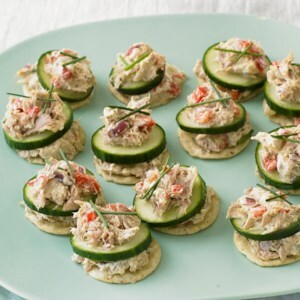 Serve warm on cucumber slices, carrot sticks, or thin slices of French bread. 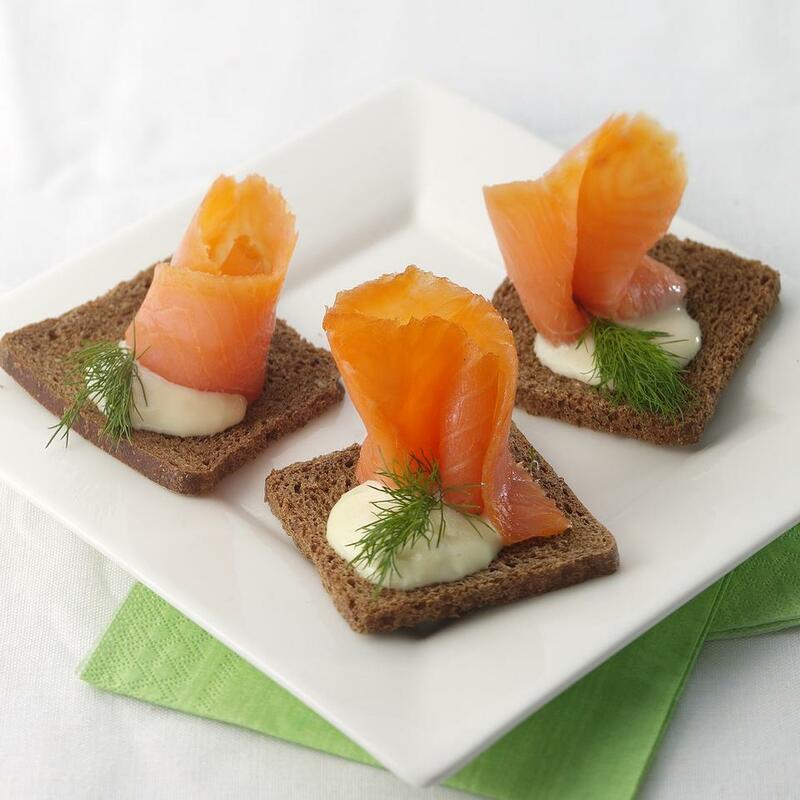 No smoked salmon on hand? 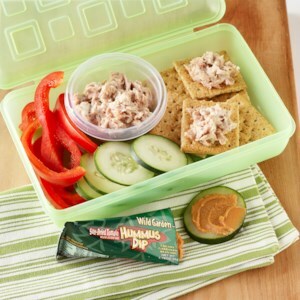 Use drained canned tuna instead. 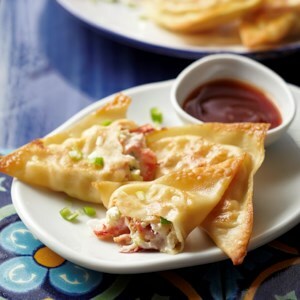 Spring rolls are a great choice when you're looking to serve a light and healthy appetizer. 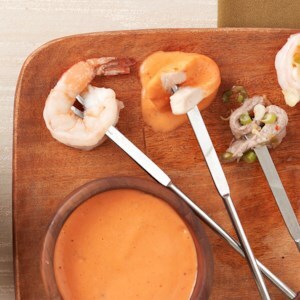 You'll want to dip each bite of these rolls--packed with shrimp, arugula, fennel and sweet strawberries--in the creamy orange dipping sauce. 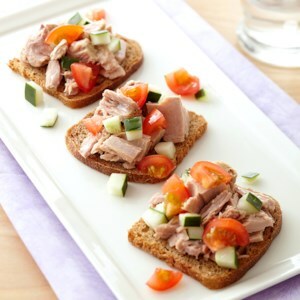 Add cucumbers to these Mini Tuna Sandwiches, a free food that adds crunch and keeps the tuna moist. 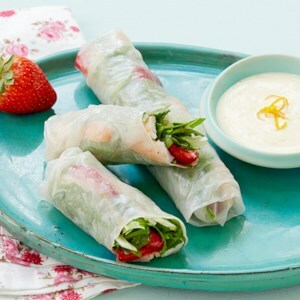 Spring rolls are surprisingly easy to make. 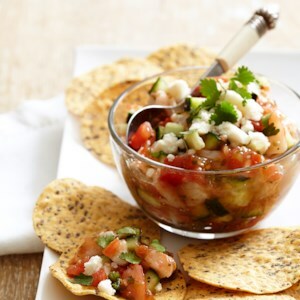 Better yet, they're incredibly versatile. 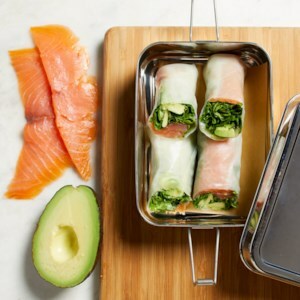 Smoked salmon and avocado are a classic spring roll combination for an easy healthy lunch to pack for work--or whip some up for a light party appetizer.